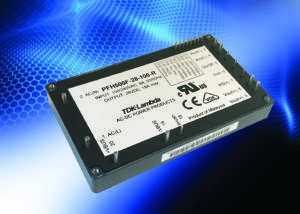 TDK Corporation introduces the TDK-Lambda brand PFH500F‑28 high efficiency AC-DC power supplies. Rated at 504 W, the baseplate conduction-cooled module is packaged in a compact 101,6 mm x 61 mm footprint. Using industry standard PMBus commands, the output voltage and fault management levels can be adjusted (read/write) and product status read back. The PFH500F series has been designed for outstanding performance in commercial-off-the-shelf (COTS), LED signage, communications, broadcast, test and measurement equipment. The PFH500F-28 has an operating efficiency of up to 92%, enabled through the use of the latest technology. 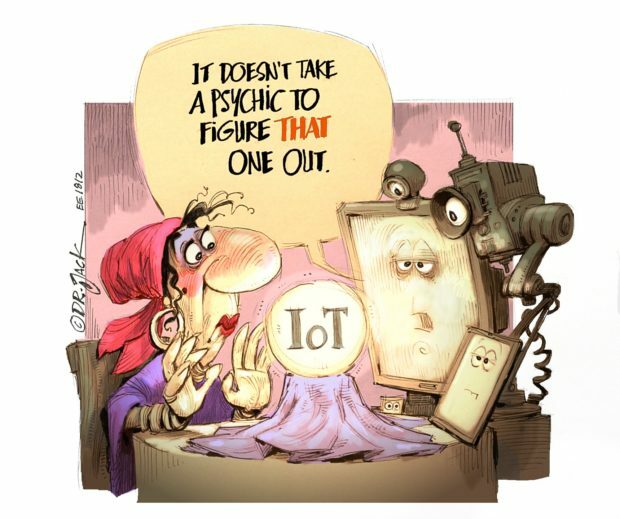 This includes GaN semiconductors, bridgeless power factor correction with synchronous rectification, and digital control. A digital isolator replaces the traditional optocoupler for long term stability and reliability. Operating from a wide range 85 to 265 V AC input, the PFH500F-28 will deliver 18 A at 28 V with an adjustment capability of 22,4 – 33,6 V via the trim pin or the PMBus. Other output voltages will be available in 2019. The module has a baseplate temperature range of -40°C to +100°C and measures 101,6 x 61 x 13,5 mm (L x W x H).